What's Wrong With Sephora India Delhi! 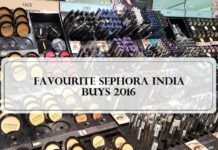 Like every other girl in India I was excited when the beauty giant Sephora opened up in Delhi in the Select City Walk Mall, Saket in December last year. Although I decided not to visit for some initial couple of months because of all the rush and sephora crazy girls! I like to shop quietly taking my own time with every product that catches my fancy (which is rare btw). But a few months back I decided to break my sephoraginity. All those photos of Sephora UK and US started swimming in my mind. I won’t be lying if I say I wanted our desi Sephora Delhi to be an exact look alike of Sephora Kaula Lampur with its triangular structure and edgy design. Who was I kidding! Blame it on the foreign beauty bloggers who post photos of Sephora stores around the world. Sephora was a luxury. Sephora was a dream. Sephora was unreachable. And now THE Sephora was in my own neighborhood. And I was there. It looked like any other usual store on the ground floor of the mall. Alright it was not edgy and the decor was not mind blowing but who cares. Its a shop and only the products matter at the end of the day. Right. 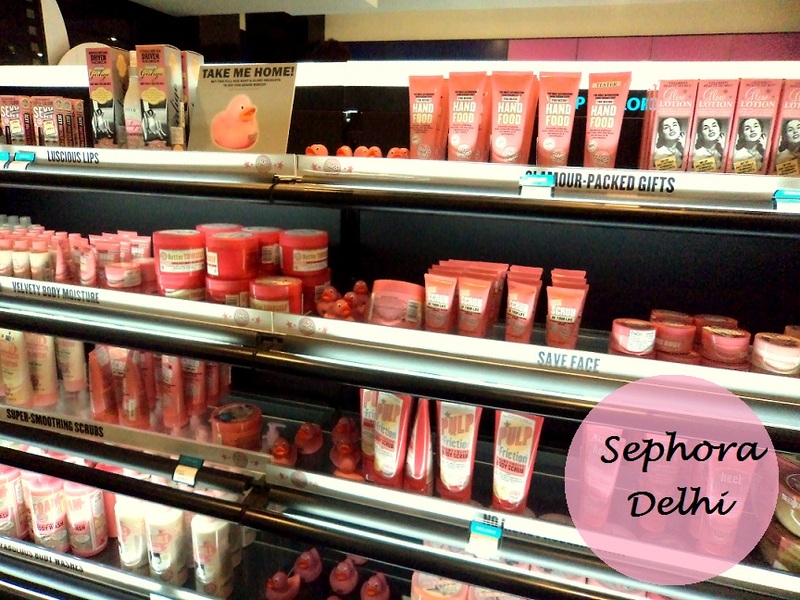 So I thought I would just browse through the aisles to check out some Benefit and Soap & Glory stuff along with the goodies from Sephora’s own label. BUT no it didn’t happen. Don’t you just hate the SAs which hawk you and follow you like your own shadow. You know they are there hiding behind the pillar watching you. And what if that shadow comes out and stand next to you when you want to see every product your dream land has to offer. It gets so irritating! Okay then I tried explaining sailor rather loudly what exactly is Benefit moonlit highlighter and the number of shades it comes in. I was also rather a little loud when I told him how Burt’s Bees lip balms are all natural and how I am a fan. But NO some people just don’t get the hint. The biggest let down was the empty and dried out testers. I tried swatching the Nyx Soft Matte Lip Creams but nope nothing came out. 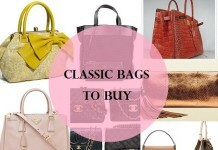 The same was with Dior and Benefit and other brands there. Most of the testers had nothing in them. Finally I gave up and moved towards the brushes and tools rack. I wanted an electric eye lash curler and a couple of face makeup brushes. Again most of the stuff was not there. No sign of eye lash curlers. All I could spot was some nail filers which btw were priced around 800 bucks! So I decided not to haul anything and was just aimlessly clicking some pics of the racks to put up here when the SAs started murmuring in hush hush voices. Then their leader (I think!) came to us and told us we can’t click photos. What?!! But beauty bloggers from around the world click photos. That is how Sephora got so famous! I tried telling her that but nope. And as far as my Sephora experience goes, I was dejected. Those dreams of the candyland were shattered. The next time I am at Select City Walk, I would be happy to totally skip Sephora and visit the new Bobbi Brown store in DLF a couple of steps away (which btw have some really well trained and friendly staff). Alright who am I kidding. 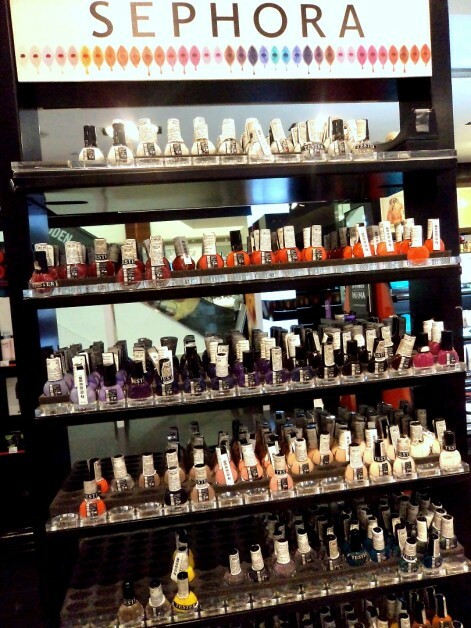 I badly want some Sephora nail paints so…BUT no more enjoying sephora trips! 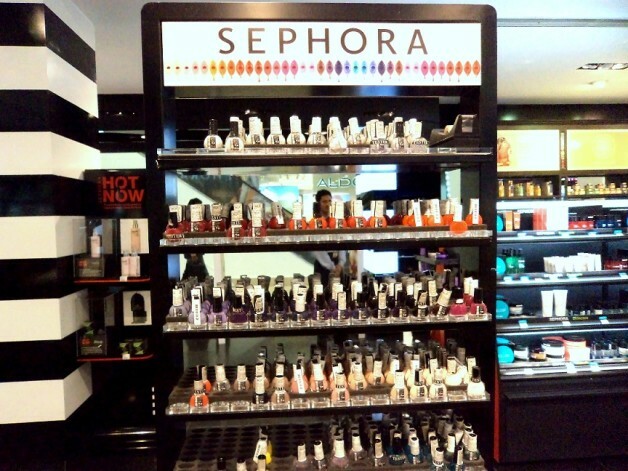 How has been your shopping experience at Sephora Delhi? yeah! plus if she was following to help me den i made it totally clear i dont need any help. but no! hey ! after reading your blog, I think it will be possible to create some sort of hype to reduce this unacceptable behavior, we do not deserve such atrocities. Ideas are either we write complaints on their fb page collectively or mails to the Indian store manager. I had a terrible experience with their billing. they billed three times and each one was incremental! Plus staff was rude when I pointed it out. Am wondering where I can complain??? 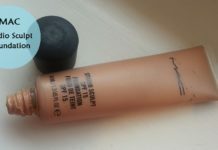 Richa Saxena recently posted…MAC Crosswires Lipstick – For the Subdued Coral you are, You Rock! I agree with you like totallyyyyyyyyyy!! They never have anything in stock, especially NYX! And the SAs are not at all friendly, when asked if these products would ever be in stock, their response is – Ya maybe.. sometime.. I mean really??? Agreed with the testers part too, they are always empty and dried out.. I can totally feel you. It is all a fad. btw, Bobbi brown is in Select itself (right next to Chanel) and not dlf. oh thats bad! i’ve thankfully have good experiences with them so far, but yes hatee the testers!!! ive been a lot of times n by now kindof know what i want frm reviews n only go to by that so i just get what i want n thats it ! Poorva recently posted…On My Nails ~ Minty Crackle. yup..u cant test d new stuff. thrz tons of benefit stuff i want to test on my skin but cant! That’s a very disappointing experience. I think most stores in India have to stop training their sales people to act like store monitors and to be accomodating ofa the customer. Even i don’t understand why photographs are not allowed? What, like are we going to steal the product by clicking a picture of it? Like eyeliner is going to ooze out through a photograph? 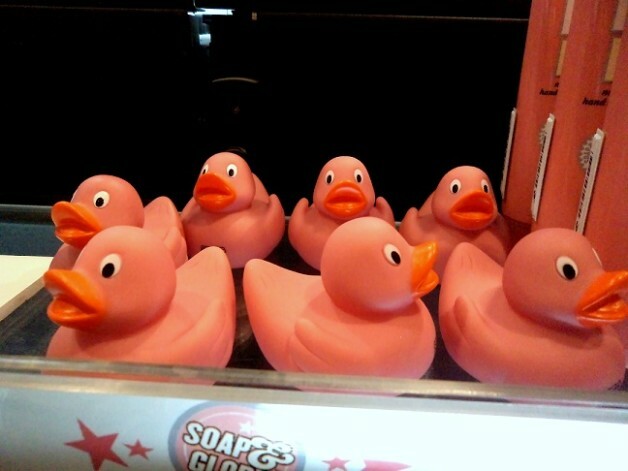 But beautiful photos :) Those ducks looks adorable :D What are they??? Not clicking pictures is one thing I don’t get these days, specially when such stores come forward and stop us doing that. I also don’t get the reason behind it? are we gonna bomb them, make duplicates of the products (it’s already being duplicated honey), or make them popular or unpopular – that you are going to be anyway! And about the empty products and SAs – I get so nervous and irritated when an SA comes around and keeps looking at you like you will just buy the whole store and if you won’t they’d give you a nice bash. My first visit to the store was good because I wanted Sephora in my city and wanted to feel what other bloggers and vloggers already experienced. But I must say that it was not up to the par but I was happy to visit the store. 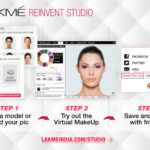 No Urban Decay, no Tarte, no online store… that’s just sad. Unfortunately, SA mentality is why I mostly buy online and not in stores. They just spoil the whole experience. dont u even get me started on dat. no UD!! The last time I went to Sephora I had the same experience…and its not just the testers even the actual products have dried out…I had look for a bottle of lip cream that was not dry. The SA’s are completely useless and unhelpful. They don’t know anything about there and to top it all they are soo rude. you know wat..i am so going to bring ds to sephora’s notice now. dey should know abt d stupid ppl dey hire! Hi you are abs right, even here in Mumbai someone needs to pull up these girls…abs revolting behaviour!! the sa’s are also a little irritating, especially if you are near the high-end counters like benefit…would we steal the testers? gah! Ritu R recently posted…30 days’ eye makeup challenge: Look 7: Neons! 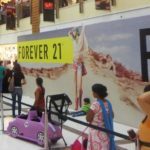 I live in Bangalore and was really hoping that a sephora opens up real soon here. I’m so tired of not having access to so many fantastic beauty brands like benefit and UD (Except online, but that doesn’t count). But yeah, I can feel how irritating it is when SA’s tell you not to do something, like clicking pics. But the quality is awesome (not to mention the awesome shopping experience). Its good that the prices are better than customs but the product placement, refilling, customer support is not really nice. Australia doesn’t have Bath and body works stores but I order them online. 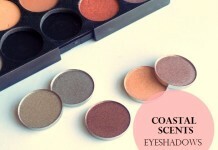 Their products are amazing and the way they package, it makes u feel special. (considering its coming from US). Its not only with cosmetics but with clothes as well. We have Zara and Mango here and when they have sales they are still more organised than Mumbai stores without a sale (sales in Zara store Mumbai is like a fish market! 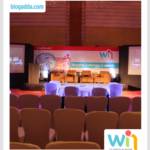 )…It does matter at the end of the day because you are spoiling the shopping experience for the customers and the brand is loosing its goodwill. Sephora’s customer service is awful. 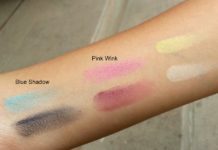 I went there searching for a blending brush and twoof them tried convincing me that a eye shadow brush was the same as a blending brush. After i dejected that lousy offer, i saw majority of the salesgirls gossiping in the corner. They didn’t care about addressing customers. Lousyyyyyyyyyyyyyyy. Bobby brown and mac had excellent service. I purchased a lipstick of brand Sephora from Sephora Delhi (India). It started to loose shape and melt from day 1. I went for an exchange the Assistant store manager said that since all the lipsticks of that type have an issue we cannot exchange it for the same piece. Now I was asked to buy another lipstick. I went to NYC counter where I picked 10 lipsticks but they were only a display sample. There was not one shade that was available. When I asked as to why have you displayed testers when you do not have one single product to sell. The reply after my 1 hour of harrowing experience was “we can not let the counter be empty”. Then I left a complaint on the feedback form and asked that when will I get a revert. It has been three days now and I have not got a single call. I guess after harrowing someone so much they at least deserve one call to explain their side. Did they have Urban Decay stuff in there? I am amused at the Ducklings..Here in the USA I never see ducklings in any of the Sephora Stores on the Soap and Glory counters and I must have visited 25 plus Sephora’s all across the country. I am originally from Mumbai and I hope a Sephora opens there soon. Would love to Visit it when I come there…They have NYC and NYX? That’s bad as those are low end brands and No Sephora here carries the,..not that they are bad..They don’t fit the brand image for Sephora’s line. This is such a shame.. and I was looking up to sephora since I wanted naked palette.. i got naked palette 3 recently and was wondering why cant they just open up in Mumbai. I hate rude shadowing staff who do not help but mess up your shopping spirit. OMG, I totally agree. I REALLLLY want to enter some stores but then resist my urge because the Sales people are REALLY annoying. I’m sorry if i’m offending them and its their job and stuff but seriously, if we need you, we’ll ASK. Chill out. Hi all, I read all the comments and I totally agree with you all. I live in US, and I am a big fan of Sephora. I decided to visit Sephora in Delhi with my friends, and I got treated the same way, I was being followed and asked by the staff for help again and again, when I cleared them that I don’t need help. They were disorganized and clearly weren’t trained enough on customer service. Luckily, one of my friend was out of site, and I decided to leave the store and look for her, which made my experience less annoying. I totally skipped trying the testers, let alone buying any product. Well, I am disappointed, whichever the country may be, a company should always prioritize the customer service to keep up with their brand name. I can shop from here, but those in Delhi can’t get the same experience. Pathetic services, the SA do not know anything about the products and wander about like zombies. I bought few products from the vasant kunj store and they turned out to be useless, after trying to get in touch with so-called concerned managers, they have come up with nothing. These brands should hire professional Staff and managers clearly the ones hired are only there to paint their own faces and give blank stares everytime you ask about a product. It is unacceptable that they do not have a return policy here, and CAN WE CREATE A MESSAGE BOARD OF SORTS TO CHANGE THIS WHOLE INEPTNESS? Am super surprised by the comments. Am French and live in Paris. And here we can even spend hours at a Sephora store trying everything and getting samples of fragrances or other products for free or a makeup. And staff is super professional and friendly even security people. I guess there is a problem of management. I have never been to India so I do not know if the behaviour of following customers is normal there. Hope it will improve soon. I am looking for the Primer which reads “Stay Flawless 15-hour Primer” I called up Sephora to ask if they have it but they said they don’t :-( if there is some1 from the store please help me I really need one of those Desperately. 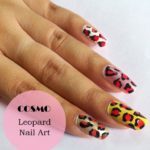 hey could you suggest some online beauty store that sell legit products and ships internationally? Was reading this because I’m heading to India soon and I didn’t want to take makeup with me. It’s sounds about the same as it does here in Vancouver! I do not understand why they would glorify the structure so much. Over here it’s just a plain store in one of the floors in the mall! It’s not specially decorated it’s just makeup on shelves with a black white and red theme going on! So from the sounds of it .. What you’ve been hearing is about the megastores in bigger cities but at local malls the stores are pretty basic ! Can you order online from Sephora if you are living in India? I completely agree with you. 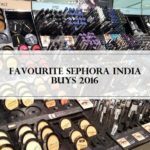 I too was extremely excited about sephora finally coming to india but sadly almost everything I want is OUT OF STOCK! I’m so tired of listening to this. The sales assistances aren’t very helpful, their attitude is of putting. There is no point going there because I know the reply I’m going to get, just order online. Ohh, I could not agree with you more. They never have nyx testers. They are always dried out and empty. And the worst , their sales assistants are always smelling of bad food stuff which always makes me cringe …. Y ???? Once one of the SA was after my life and kept on insisting that I should buy a perfume cos they were running some offers . I made it clear that I am not looking for perfumes but he kept on spraying perfumes one after the other and getting them near my nose and his nails were smelling of … Guess what , achaar…. . I wanted to run in the other direction . Like people don’t wash hands after eating food or what ?? Once again an SA was applying some make up on my face and her breath was so garlicky … Yuk . I got so annoyed by this repetitive annoying food habits of sephora staff , I decided to talk to the store manager to train the staff with some dos and donts of dietary protocol in an industry like this . But these guys , did not call the manager , making excuses that he is not around and handed me s fake email id that mam you can mail here whatever issues are . Like seriously this … Phheew . I decided to never go there again . The sephora in Delhi is highly disappointing and just not like the ones they have in other countries. Firstly, they don’t have most of the brands that are there outside India (like nars, urban decay, tarte, too faced, smashbox, YSL, etc.). They do have benefit, NYX, makeup forever and Stila but everything is out of stock. They never have any newly launched products and it’s just sad. They don’t even have a decent collection of their in-house brand. Most of the testers are damaged or dirty. It’s not worth the effort. As far as the SA s go.. almost all of them all over the country smell of garlic at any point of time I really don’t know how. Considering the only Sephora I have been to was their flagship in Paris I’m cutting my image of the store in Bangalore by well 70%. Hey, since we all are talking about Sephora, I wanted to ask one thing. Do you guys think they exchange products that haven’t even been opened once. I bought this eye color correcting Primer from Benefit called ‘Lemon Aid’ but I just now saw its reviews online and apparently it isn’t good.